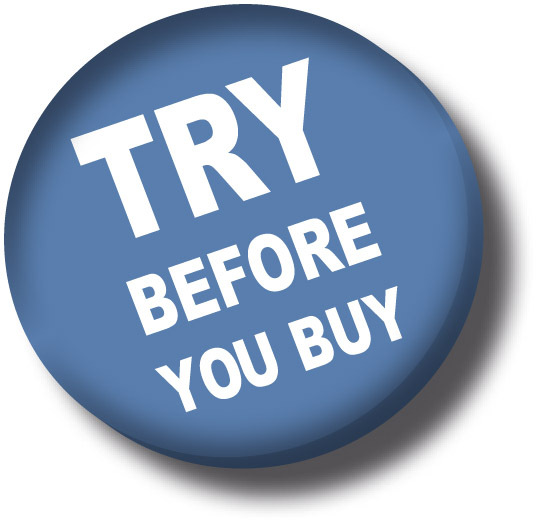 Try Before You Buy: How a security provider can earn your trust. Not ready to commit? How a security provider can earn your trust. When buying any service for your business it is vital that you have confidence in the service itself and, of course, the company that is providing it. Seldom is that need more pertinent than when dealing with business security. Securing your business involves you placing a great deal of trust in the skills, ability and integrity of the people providing it, but how do they earn that trust? We have been in business since 1976 so we know a thing or two about securing new contracts. Reputation helps, longevity in the industry helps and recommendation goes a long way but some clients take a much more cautious approach when embarking on a professional relationship: they ‘try before they buy’. Or, more accurately, they try a little before they commit to buying a lot. The advantage of working with a company that offers a range of services is the opportunity to get a feel for how they work by using them for a relatively small job first; gauging their prices, their service and their workmanship; and then scaling up to more complex projects. This has happened many times here at Calder Security, in different scenarios. One such example is the caretaker of a large secondary school in Wakefield, Kettlethorpe High School, who used us several times for key cutting. He would come into the shop regularly and, during these visits, gradually learned more about the other services on offer. As he got to know the company, and took advice on different areas of security from our engineers on site, he became increasingly confident that Calder Security could handle something more involved. When the existing CCTV contract came up for renewal he gave us the opportunity to take it on. Not only did he get a service that he was happy with but actually saved a significant amount of money for the school on the annual contract. Another example is the Facilities Manager of Coca Cola’s large manufacturing plant in Wakefield. He needed a company to design, install and maintain a complex master key system for the facility. He liked us as a company but before committing to such an important contract he used us for his own domestic locks and intruder alarm system. Happy with the service he received he went ahead and engaged us for the work, a considerable on-going contract. Anyone wishing to try us out for any commercial or domestic security project can give us a call on 01924 371941 or complete our contact form. We also offer free business security audits to Yorkshire based companies.